As plans are formulated to put UK troops under American command, a former army colonel-turned-Tory MP has said he may quit over defense budget cuts, while urging military chiefs to do the same. Colonel Bob Stewart MP, who sits on the Defence Select Committee, said UK defense was in a “parlous state.” He was speaking at a meeting of the UK National Defence Agency (UKNDA). Stewart, who commanded troops in Bosnia in the 1990s, made his declaration in the wake of an announcement that up to 6,000 UK troops could be placed under American command as part of a new 20,000-strong high-readiness brigade. However, the comments are at odds with the established practice of placing British troops under foreign command. In Iraq and Afghanistan, UK troops operated as part of coalitions which were in each case American-led. 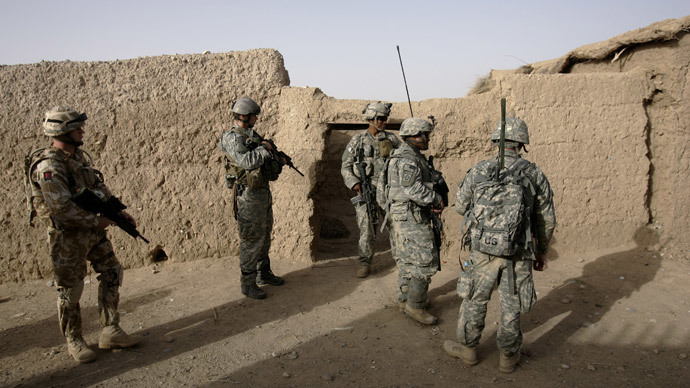 In Afghanistan, British service personnel were often placed under the operational command of American officers – including, in May 2010, the entire 8,000-strong UK force in southern Afghanistan. In 2010, Prime Minister David Cameron and then-President of France Nicolas Sarkozy announced plans for a Combined Joint Expeditionary Force (CJEF) which would potentially place UK combat troops, including members of Britain's elite Special Air Service (SAS), under French command as part of a joint task force. The same year also saw plans drawn up to share aircraft carriers with the French. Last week, General Raymond Odierno, chief of staff of the US Army, told the Telegraph he was “very concerned” at the cuts being made to the UK’s armed forces. He criticized Chancellor George Osborne’s refusal to confirm whether the UK will meet NATO member states’ spending target of 2 percent of respective national GDP.